Obituary for Jeffrey L. Skinner | Thomas Funeral Home P.A. 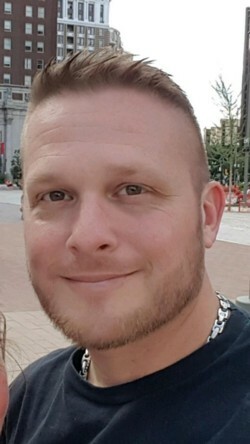 Jeffrey L. Skinner, 46, of Grasonville, Maryland passed away on Friday, March 29, 2019 at his home with his loving family by his side. Born on May 7, 1972 in Carmichael, California, Jeff was raised on the Eastern Shore of Maryland and graduated in 1990 from Cambridge South Dorchester High School. 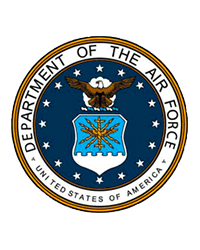 On October 12, 1990, Jeff joined the Air Force and was honorably discharged as a Senior Airman on February 17, 1998. During his career as a Crew Chief for the Air Force, Jeff formed many close bonds with his fellow airmen, who referred to him affectionately as “Skippy”. Jeff traveled the world and was instrumental in the completion of many strategic missions. His service during Operation Desert Storm and his exceptional skill and dedication to duty earned him many awards and medals. With his adventurous spirit, Jeff enjoyed traveling, mountain biking and expanding his culinary interests. He was an avid Ravens fan and was not shy about sharing his amazing voice with others through karaoke. Jeff was known for his quick wit, his infectious smile, and his kind and compassionate spirit. He lived life to the fullest and never let anything get him down. Jeff was a loving father, son, husband, brother and friend. He will be missed by many. Jeff is survived by his mother, Deborah Skinner, his father, Gene Skinner and his step-mother, Gail Skinner, his loving wife, Melanie, his sons, Trenton (TJ), Kaiden, and Colton, his step-children, Jonathan, Courtney and Ashley, his sisters, Susan Skinner and Molly Skinner (Todd Twele) and his nephews, Kamden and Kyle and many close friends. Pallbearers will be Eddie Carnley, Todd Twele, J.R. Skinner, Pat Weber, Ryan Killough and Matt O’Connell. Honorary pallbearers are Jake Weber and Dylan Anderson. A funeral service will be held on Thursday, April 4, 2019 at 12 p.m. at Thomas Funeral Home, P.A. in Cambridge. Family will receive friends one hour prior to the service. Interment will follow at Dorchester Memorial Park. In lieu of flowers, donations may be made to Compass Regional Hospice, 160 Coursevall Drive, Centreville, MD 21617 and Dorchester County Relay for Life, c/o Karol Redline, 7 Shady Drive, Cambridge, MD 21613.